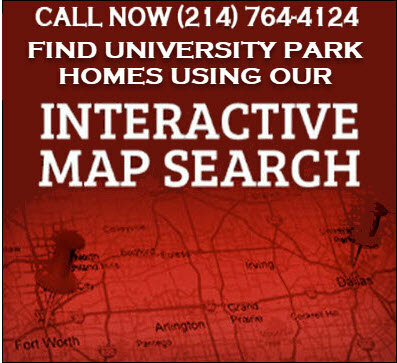 Browse University Park real estate listings and homes for sale with instant access to property detail reports including property price and status changes, community information, neighborhood statistics, Highland Park ISD information, nearby amenities, virtual tours, 360 degree virtual reality photo tours and more. Located in the Park Cities area of Dallas, University Park real estate features luxury estates and homes, custom homes, new homes, townhomes, condos, lofts, high-rises, duplexes, fourplexes and apartments. University Park offers easy access to Downtown Dallas, Love Field, DFW Airport and is minutes from SMU University. University Park began with a few small homes built for SMU campus overflow around 1915 and has grown into an affluent community offering residents a prestigious address in the heart of Dallas, Texas. Our Realtors specialize in all types of University Park Real Estate and can assist with buying, selling and renting homes in University Heights, University Highlands, Thackeray Place, Loma Linda, Idlewild, Berkley, Annex, Preston Place, Methodist University, University Annex, Asbury, Caruth Hills, Wesley Place, Francis Daniels Park, University Park Estates, Landrums, Compton Eights, Dan Ro, University Court, and SMU Heights. Contact one of our University Park Realtors at (214) 764-4124 for details on listing discounts, home rebates and special incentives you may be eligible for whether you're needing to buy or build a new luxury home or estate in University Park, sell a University Park condo or townhome, or rent a duplex, fourplex or apartment around SMU campus. 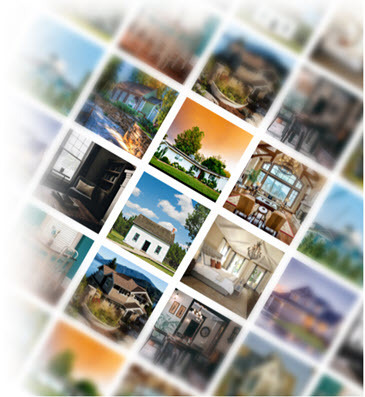 Search University Park luxury homes for sale in Park Cities Dallas, TX and view pre-owned, new construction, bank foreclosures, auction and short sale listings. We offer multiple options to search University Park homes for sale including search by listing number, address, city, county, zip code, school district, subdivision, polygonal map and radius map. Search all available University Park homes for sale in Highland Park school district. Buy and sell University Park Real Estate in Dallas with DFW Urban Realty and receive a discount on our listing services. Sell your University Park Home in Dallas and save thousands in Realtor commissions! In addition to University Park real estate listings for sale on our site, we can also help you find off the market homes for sale in University Park that haven't been listed on the MLS yet including pocket listings, coming soon homes and new homes for sale in University Park. Our University Park new home search allows you to find homes for sale by location, home type, floor plans, promotions, new home community, builder name, amenities including golf course, waterfront, senior communities and other new home options to help you find the perfect new home or estate with all the right amenities in the right location and at the right price! 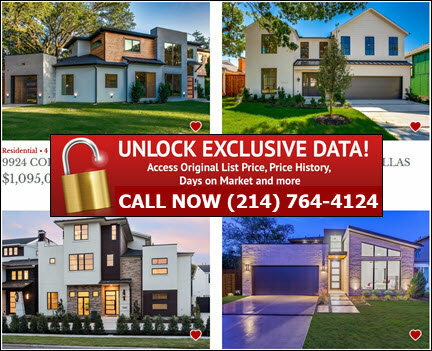 Our DFW real estate brokerage also works with all new home builders in University Park and can help you find or build new homes in University Park with the best builder discounts and incentives available. Whether you're wanting to purchase a pre-owned home, buy a completed new builder construction home or custom build a new home in University Park, we've got you covered! University Park dates back to 1915 when the first homes were built around SMU. With over 25,000 residents, UP is one of the most prestigious communities in DFW with expensive and luxurious homes, low taxes and exemplary schools. University Park and Highland Park, together known as Park Cities, are served by Highland Park ISD, the most sought after school district in Dallas. Amenities & points of interest include McFarlin Auditorium, Meadows Museum, SMU University, Snider Plaza and Caruth Park.